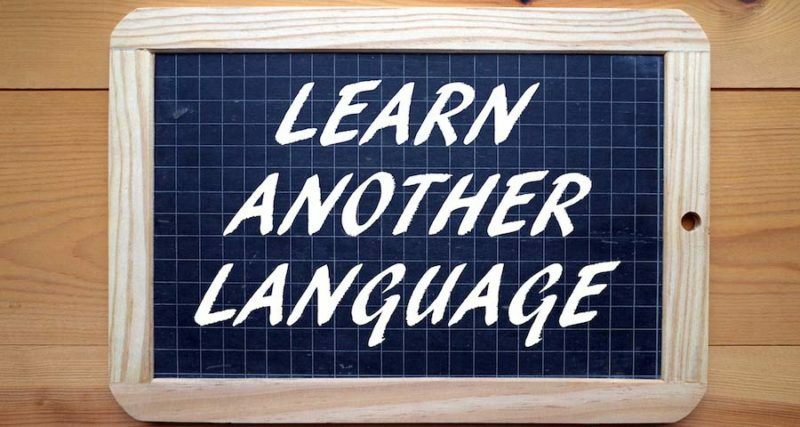 Home Blog Should I Teach My Child a Second Language If I’m Not a Native Speaker? Can a Parent Actually Hurt Their Child’s Chances of Being Bilingual? With so much research proving that raising your child bilingual will improve their overall growth and development, it’s understandable that you want to raise your child to speak more than one language. But what happens when you’re not a native speaker? What if you’ve only recently started taking a foreign language program, and while figuring out how to study Russian, you’ve decided that you want to make sure child knows a second language too? It’s quite common for parents who want the best for their child to be hesitant to pursue something where they may lack confidence. If you’re still working your way through the best Russian language program, you may be wondering if your accent will affect the way your child speaks or what might happen if you can’t fully speak in the target language. Before embarking on this journey, you need to understand the consequences of raising your child bilingual even though you’re a non-native speaker of the target language. Before taking on the task of raising your child to be bilingual is asking how fluent you are in the target language. Assuming that you live in the U.S., in a mostly homogenous neighborhood, then your child may only have you as a point of contact for language development. The only problem of this is that it may create a lack of consistency for the child. While not detrimental, it’ll influence the level of access they have to the target language. However, there are steps you can take to optimize the language learning experience for both you and your child. If you’re fluent, you can adopt what is known as the “OPOL” strategy. It stands for “One Parent One Language.” It means that your child would only talk to one parent in one language. So if you spoke Russian and your partner spoke English, your child would only communicate with you in Russian and your partner in English. Don’t worry about it feeling unnatural. If you start when the child is born, it will have a natural feeling well through their development. In fact, it may even bring you closer together as you’ll share a special language bond. Some parents experience fear about whether family, friends, or strangers will judge them. However, it’s best to let that go as you’re providing the optimal upbringing for your child. If you’re not fluent in the language, that’s okay too. The key is to be consistent. As you progress in your studies and continue to learn your target language, you’ll be better adept at communicating with your child. You can even practice with some language learning books together. As long as you’re working towards fluency and supporting your child’s journey as well, it can become an incredibly powerful bonding experience. Will Your Child Develop an Accent? One of the common worries parents have regarding teaching their child a foreign language when they’re not native is wondering if their child will develop their accent. Again, this depends on the amount of exposure your child has to various native speakers. If you are the only point of contact your child has for the target language, then, yes, your child will develop an accent similar to yours. However, this is not a bad trait. Having a heavy accent in a foreign language is better than not knowing how to speak a foreign language at all. If your child has access to native speakers, a babysitter, a caregiver at the daycare, or a teacher at the school, then his or her accent may be less pronounced. Keep in mind that many bilingual people have accents in their second language to some degree. What Other Support Can You Use? Remember that we live in a world rich in resources created by native speakers that you can use to help your child learn native levels of the target language. This includes many books, toys, and tv shows to help your child expand their abilities. There’s also movies you can watch with your child and games you can play that will focus on using the target language. Nursery rhymes and songs are great resources as well. You can also look outside the home for additional resources. If you can, enroll your child in a preschool program that prioritizes the target language. You can even hire a babysitter to care for your child who only speaks the target language him or her. The most important aspect to remember is to keep a continuous inflow of resources for your child to develop his or her language skills. Is It Okay to Switch Back and Forth Between Languages? If you’re speaking with your child and can’t remember a word, it’s okay to revert to your native language. The priority is being able to use what you know but in a way that reflects your enjoyment of the language. What you do not want to do is create a feeling of annoyance at speaking in the target language. For your child to have the best experience, he or she needs to know that you enjoy talking in the target language. What Happens If Your Child Notices Your Mistakes? Great. If your child notices your mistakes, that means that they’re acquiring the language. You shouldn’t be too focused on your mistakes as it can interfere with your desire to speak to your child in the target language. However, it is essential that you continue to study and improve your foreign language skills as your child will benefit from your increased abilities as well. Even though you may be developing fluency, there’s no reason not to push forward to increase your language abilities. Your child will benefit from learning a second language. Studies have shown that being bilingual helps make children better multitaskers, more empathetic individuals, and better communicators. They’re also better at focusing and making important decisions. And while a child is young, the more exposure they have to the language, the easier it is for them to acquire it. We live in a world where being bilingual is becoming increasingly in high demand. And by speaking to your child in the target language and working with them to gain fluency, you’re helping provide them with a powerful tool to succeed in life. While you may not be a native or even fluent speaker, by taking the time to raise your children bilingual, you’re showing them the value of knowing more than one language and better preparing them for the world.